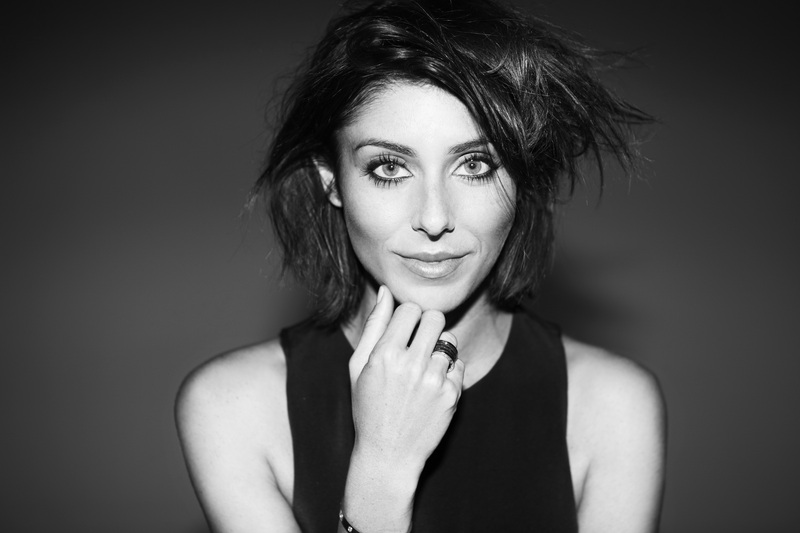 We talk French women, hair extensions and dragons blood cleansing water with the beautifully impeccable Rebecca Caratti, Style Editor at VOGUE Australia. 1. How would you describe your personal style, fashion and beauty wise? My personal style is very simple, classic with an edge. Style wise I like beautifully cut and well made pieces. I live in a wardrobe that consists mainly of black but love to occassionally add pops of colour and print. In terms of my beauty regime – i keep it simple. I have regular manis and pedis, eyebrow shaping, hair cuts and colours to stay looking polished. I love the fact that it can take me all over the world and you get to meet some very like minded and extremely creative people. 3. What are the biggest trends coming through this season? 1. Luxe Fabrications: explosions of print, texture and extreme embellishment. 2. The New Modesty: tailoring headed down a demure path with the new long and lean and modest hemlines. 4. Punk: plaid, leather, studs, chains and mohawks . . .
4. What five products cant you live without? 1. Clairns hand and nail moisturiser . . the smell reminds me of my mum. 4. Eye drops! Visine Revive. 5. What does your skin care routine consist of? I use Prioi idebenone skincare range. Cleanser, even tones and moisturizer. I do weekly facials and scrubs and every few months i have a course of omniluxe light treatments. I find it helps with skin tone, improves and diminishes pigmentation and scarring and plumps the skin resulting in a youthful appearance. I’ve recently started using Algenist triple action micropolish and peel . . . which i swear by. 6. Best trick to brighten up a morning after face? 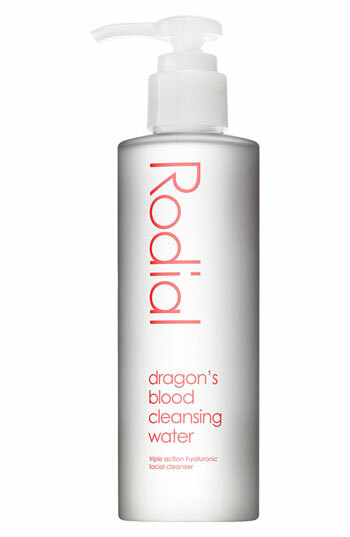 Definitely RODIAL dragon’s blood cleansing water and hyalurniuc mask. These two products are incredible and immediately refreshen your skin, plumps lines and tightens wrinkles whilst rehydrating your skin. They soothe tired and stressed skin. 7. How do you stay healthy? I practice yoga in particularly bikram yoga, which keeps my body fit, strong, flexible and my mind clear. I also meditate every night. I drink at least two liters of water a day and I try and cook most my meals and limit my meat intake. Obviously, I love going to dinner and have a weakness for pasta and pizza. But i do generally watch what i eat and actually crave fresh salads over junk. 8. Who is your beauty icon and why? Emmanuelle Alt, Lou Dillon, Jane Birkin . . .These French women all have such an ease and laid back approach to beauty. I love their messy hair and minimal makeup. They’re completely effortless and natural. 9. What has been your biggest beauty disaster? Definitely hair extensions . . .I have NO idea what i was thinking . . .I was 19 . . I know there have been major developments in hair extensions since BUT anything artificial that requires maintenance is not for me. . . same goes with fake nails, eyelash extensions etc . .. far too much effort. 10. What is the best beauty advice you’ve ever been given? Sunscreen and stay out the sun . . . by my mother . . . HOWEVER i didn’t listen and i’m now paying the consequences. 11. How do you treat yourself? I like to indulge in massage and reflexology. I wear heels all day, every day so like to treat my feet with chinese reflexology every couple of weeks.